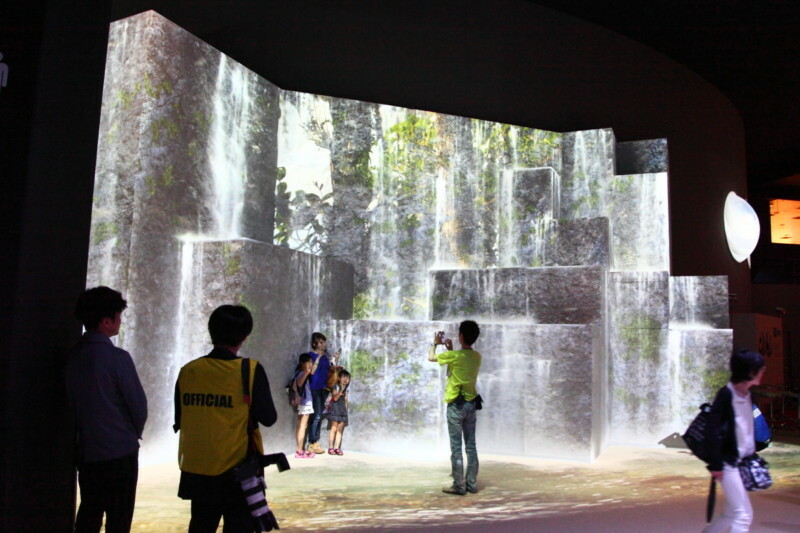 Orbi, a unique, new indoor theme park that arose from the collaboration between SEGA and BBC Worldwide and the BBC Earth brand, opened August 2013 in Yokohama, Japan. Octogenarian Yuichiro Miura, on record as the oldest person to scale Mount Everest, said at the opening that he had been to the top of the world, but that now, through Orbi, he could explore the rest. A 51, 000 square foot facility, located in a shopping complex, Orbi takes guests through a series of immersive, entertaining and educational experiences, creating a new perspective about the natural world. It takes about two hours to pass through its various zones, highlighted by the spectacular main show on one of the world’s largest projection screens. Orbi reported a very successful first month of operations, welcoming some 100, 000 guests, and SEGA is looking to take the property global, with locations in markets such as Asia, the Middle East, and the Americas under consideration. Tickets to Orbi are timed and can be purchased on site or online. Ticketed guests receive an RFID wristband, which can be used for a number of photo-ops. Some photos utilize green screen while others are automatically taken in the midst of an environmental experience. 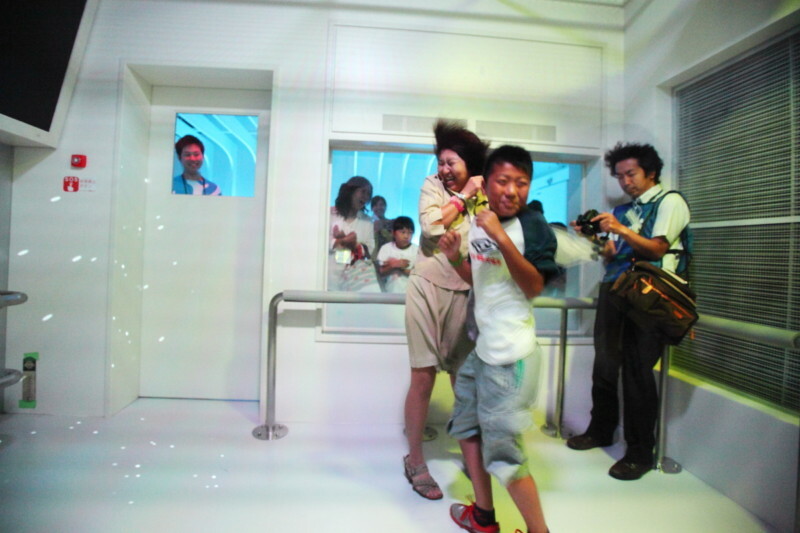 Guests enter Orbi through a small tunnel into the Exhibition Zone, for a series of interactive short presentations, each about 5 minutes long. Projected next to each entrance is the name of the experience and a description. Each show is designated by a number corresponding to something significant about the animal or environment portrayed. Animalpedia Once through the entrance tunnel, the iconic Animalpedia stands before guests. 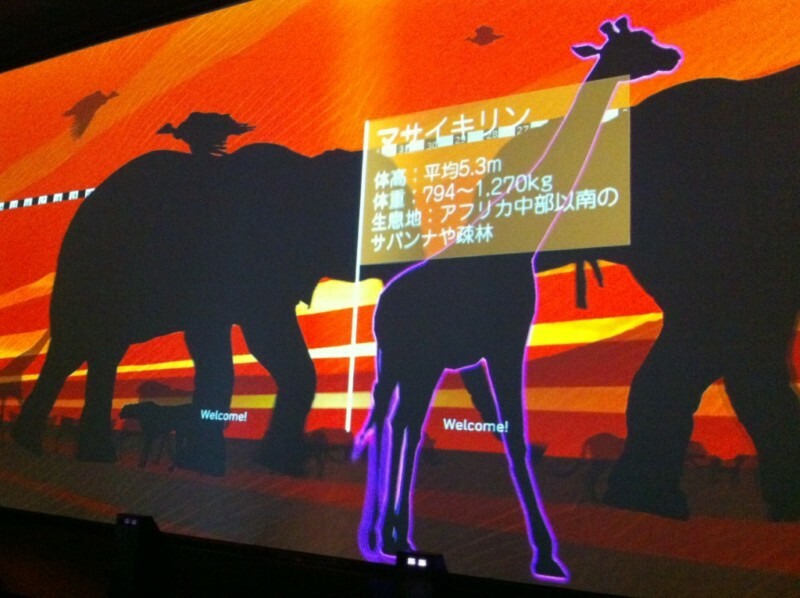 Its giant screen, 21 feet high and 34 feet wide, features animal shapes moving across its surface. Six stations are positioned in front of the screen, with directional sound targeting each. A scanner tracks the movement of the guest at each station. As he or she reaches out to an on-screen animal, the animal responds with an appropriate gesture and explanatory text pops up next to it. Named for the 40, 000 km circumference of the Earth, this theater showcases the best of the BBC’s flyover footage. There is a curved screen on each side of the narrow room and each is capable of running its own program. Guests feel the wind in their faces as they experience the majesty of flight over the natural world. This elongated theater lets guests see, hear and feel what it’s like to be in the midst of a wildebeest migration, some 1, 300, 000 strong. It is comprised of a concave, wide screen on each side and a smaller, trapezoidal screen on each end, creating a near-360 degree environment. The coldest temperature ever recorded was –89.2° Celsius at the Soviet Vostok Station in Antarctica, on July 20, 1983. This multi-part experience takes guests into frigid Polar environments. After an introduction, they enter the first theater where they experience a simulation of ice cracking beneath their feet. The second room delivers the sensations of Antarctic cold and wind. In this environment, a real-time, thermal image of guests as they react to the Polar weather is displayed on a monitor, and a photo is snapped by a camera linked to their RFID wristbands for purchase later in their journey. The Marianas Trench, 10, 994 m deep, is on record as the deepest part of the world’s oceans, located in the western Pacific. 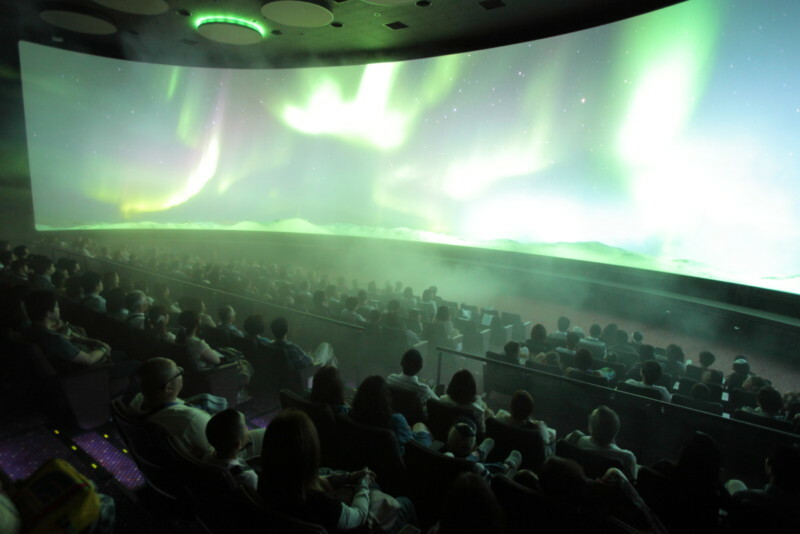 To bring guests into the undersea world, this theater about the undersea world uses three projectors on a curved screen, but at certain times during the show, a rear projection of an animal appears on a mist screen in front of the center of the main screen. The soundtrack is tranquil and calming. The overall feeling within the theater is that of being immersed inside an aquarium. 75% of all documented animals in the world are insects. Guest proceed along a snaking corridor in which effects create the sense of being surrounded by flying insects. “It’s like a funhouse, ” explains Sam Hatcher, ETI’s Project Manager on Orbi. The Infinity theater is a circular theater with a near-360 degree visual experience. Guests place an item of clothing onto a table in the middle of the room. A camera reads the color of the item and scenes from nature in that color fill the walls with 8-ft tall imagery. Sound effects encircle the room as new items of clothing are scanned and the colors change. The highlight of Camp Explore is a projection mapping wall, which uses irregular surfaces, and an accompanying soft sculpture. The sculpture changes form to represent four different animals, including a chameleon and a whale, which interact when touched. When natural elements such as waterfalls and lava appear on the wall, the soft sculpture changes in sync with that imagery, becoming those natural elements as well. Other activities in Camp Explore include a high speed camera where guests can simulate racing against the fastest creatures on land and two greenscreen photo opportunities that place guests in different natural environments with wild animals. The main theater is named for the number of degrees the Earth is tilted on its axis as it orbits the Sun. At 139 feet wide, it is one of the world’s largest screens (17 feet wider than the world’s largest IMAX screen, the LG IMAX in Sydney). It has an irregular shape, resembling an elongated letter “U.” Two smaller, rear projection screens are located on each side of the rear of the auditorium. 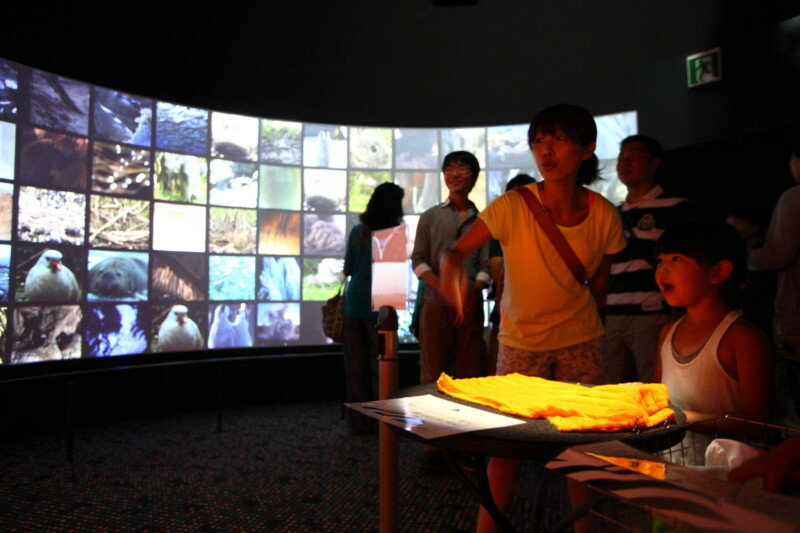 Guests are given audio cues to look over their shoulder, see an animal appear on the smaller screen, and then follow it onto the main screen. At its essence, Orbi is the synergistic result of a gaming and entertainment company applying its 50+ years of experience to creating new and innovative ways to interpret one of the world’s largest nature film libraries. All of the Orbi shows, interactives, and digital displays are run via ETI’s Videro Platform, which is a professionally hosted network that lives on the Cloud and powers the behind-the-scenes infrastructure, data and business applications for digital displays. Unlike Cloud systems that are utilized for just storage and streaming, Videro uses Apple Mac minis on site that house data and control audiovisual operations. By doing this, energy consumption and show control support facilities are greatly reduced from a traditional audiovisual intensive operation. If a mini goes down, another Mac mini onsite can pull data from the Cloud and become the new computer for that presentation. SEGA has long been the largest manufacturer of coin-op gaming machines in the world. Over the years, it has entered other revenue markets, including home consoles in 1983. In 1996, SEGA entered the location-based entertainment (LBE) market with Gameworks, a joint venture with DreamWorks and Universal Studios, as well as their own SegaWorld. As an example of how digital technology is being applied by SEGA and others in new and creative ways to location based entertainment, Schmelzeis drew our attention to the Japanese phenomenon of Hatsune Miku, a virtual anime singer or “vocaloid” that is rear projected onto a Plexiglas screen and is often accompanied by a live band. The virtual performer’s shows have sold out throughout Japan and she has often appeared at SEGA’s Tokyo Joypolis LBE center. Although SEGA no longer has a stake in Gameworks and the SegaWorld parks, a second renaissance in the company’s LBE operations began in 2009 with the opening of SEGA Republic in Dubai and a renovated Joypolis in 2012. Five years ago, the company decided they wanted to pursue an LBE concept that would appeal to the three-generation audience. At the same time, the BBC was looking for additional outlets besides television and theater to showcase their extraordinary collection of wildlife footage. The two companies met, and their 2011 agreement led to the opening of Orbi this year. To make such an audiovisual endeavor possible, SEGA hired Edwards Technologies, Inc (ETI) of El Segundo, CA, now in its 29th year of operation, as technology specialists. This would be just the latest in a long line of SEGA projects that ETI has been involved with, going back to the very first Gameworks location in Seattle. ETI has been responsible for designing and installing AV systems at leading theme parks, attractions, retail, hospitality, museum, and even military training locations worldwide. In 2011, Edwards partnered with Neal Lassila, a former executive of Disney Retail, to create a sister company, Fresh Juice Global. The new company offers experience design and consulting, utilizing ETI’s technical know-how to create new, interactive branding experiences. To see the original article from InPark Magazine, please click here.